What makes a guided interpretive experience exceptional? I suspect that Marcus from Wild Sweden has spent much of the the last ten years thinking about that. He has certainly found some answers. We went on a ‘Moose Safari’ with him two nights ago. It was hugely enjoyable, informative and rewarding. Marcus made it all look so easy but nevertheless I think very little of it happened by accident. He has mastered the craft of nature guiding. So what took this experience into my exceptional category? It wasn’t simply that Marcus followed all the good practice guidelines I have ever read (or written) – although he did. That alone would have made the trip very good. It wasn’t even that we had an exquisite mid summer evening where the lakes and forests seemed to shine. Extreme natural beauty is definitely an asset, but an exceptional walk has an added ingredient. It certainly helped that Marcus had excellent knowledge of the wildlife of the forests and, particularly, in this case, the moose. He had the skills to help us find them and in depth knowledge from his field experience and others’ research to talk with us about them. That was an important added ingredient but not the magic one. It was certainly vital that, despite some particular challenges, Marcus found moose and that all of us had long and good views of them. They were magical, especially viewed through late evening mist. but even that is not the most special quality of the evening. For me, the extra special added ingredient that Wild Sweden added was Time. This safari was conducted at a very relaxed pace. There was no rush. We spent the best part of two hours having a picnic in the woods at the start. It could have been done in half an hour and I think in the UK it would have been. This was so much better. 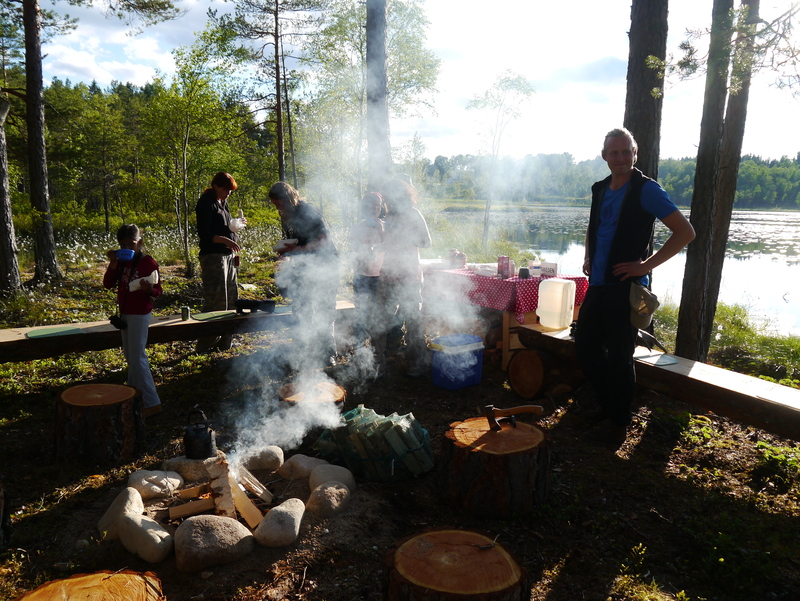 By the time we left we had not only covered the basics of food and toilet, we had talked moose and other Swedish wildlife, discussed how we would look for them and understood their conservation and hunting. 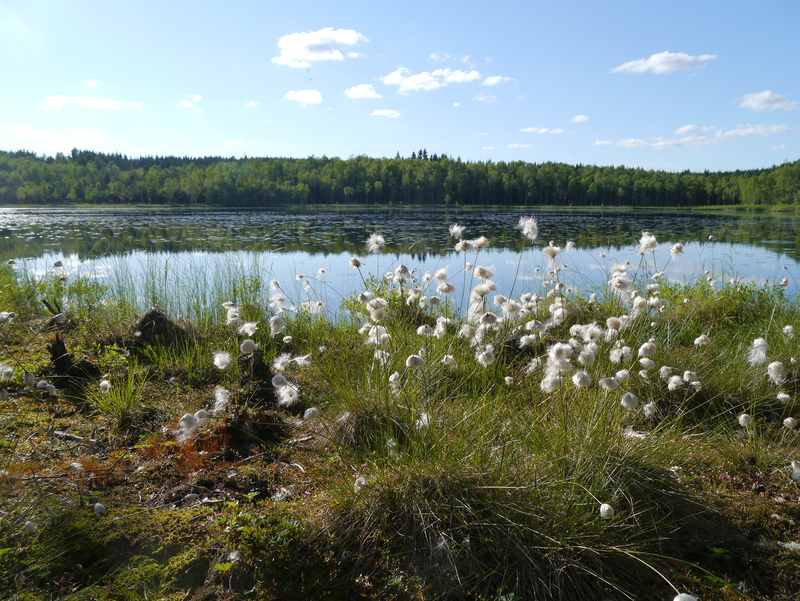 We had also soaked in the beauty of the forest at sunset, we had looked around us at the light on the lake, the carpet of flowering cranberry, talked about the trees and begun to feel happily at home. Afterwards Peter and I said that we had been lucky to have such a great group of people to go out with. We were. Our little company was a mixed bag in terms of demographics: two British empty nesters (us) two Aussie Young Adult Explorers and a family of four from Singapore but we felt like kindred spirits. We were a great group, but I think that Marcus and the structure of the tour especially that long social eating and chatting time at the outset helped us become that. Helping a group of strangers become friends before they go off on their shared adventure is something I haven’t paid much attention to before. I now think it is very important. .
Marcus was generous with his time: this tour was scheduled from 1800 to 2300 ( we are in ‘midsummer in the north here). He actually stayed with us until 0030 (it still wasn’t dark) and then said ‘it’s a shame to go, I am so enjoying time with you’. That, by the way, is a great parting shot. Everything was calm, nothing was rushed. I know this was only possible because everything was exquisitely planned. Marcus therefore appeared totally relaxed and gave the impression there was nothing he wanted to do more than be in the forest with us. That may well have been true, but that’s not really the point. We believed it and therefore felt free and relaxed too. That’s a lovely feeling for a participant. I have spent a lot a lot of time this year working with the Wildfowl and Wetlands Trust and consultant Kate Measures on a new approach to walks and talks at the Trust ‘s wetland centres. We have developed new, and rather exciting evidence-based structure for delivering face to face interpretation designed to meet the needs and spark the interest of their diverse visitors. The underpinning visitor research carried out by Kate’s team showed that most walks and talks were too long for most visitors. We therefore completely revamped the programme an created new audience-focused approach. Happily this included space for what we call Extra Special Experiences, which should be longer. 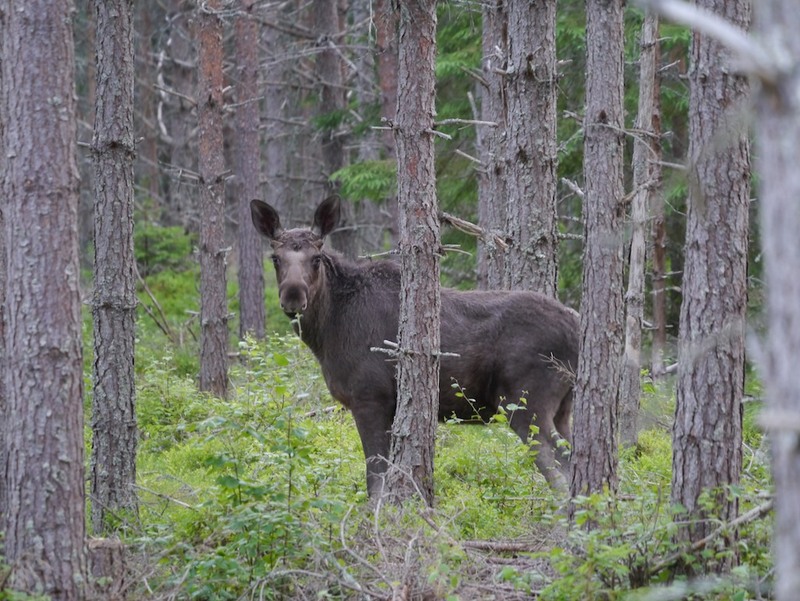 Spending time on Wild Sweden’s Moose Safari reminded me why that was right. It takes time to be extra special. For more great picture of our unforgettable Moose Safari look at Peter’s Flickr stream at http://www.flickr.com/photos/telltalepeter. This entry was posted in Environment, Interpretation, Visit experience, Visitors, Wildlife, Wildlife and countryside attractions, Wildlife interpretation and tagged group dynamics, group leadership. 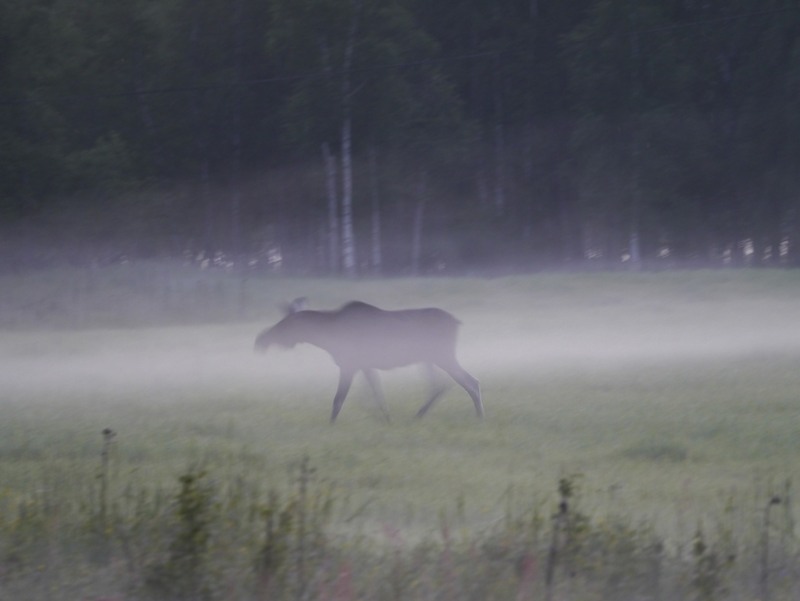 Time, mixed audiences, Moose, nature guiding, Sweden, walks and talks programming, Wild Sweden, Wildfowl and Wetlands Trust. Bookmark the permalink. Sounds like a great experience Susan. Reflecting back to the Deer Watch events I used to guide in the New Forest, I suspect I was a bit too keen to get everyone through the forest to see the deer; focussing on ‘ticking the box’ rather than the whole experience. Hi Paul, I’ve certainly done that too. Many times. I think it may have made a difference that on the Moose Safari we were paying customers. I have noticed that the very best customer service is often found where people’s livelihoods depend on the quality of the service they offer. This was not a cheap deal, it was excellent value for money.